Maui Beach House Welcoming Large and Small Parties from 2-12 guests. privacy as we rent to one group at a time, so please inquire for a personal quote. We have a 14nt minimum stay during Christmas. Hale Makai our North shore Beach Home is steps from Kuau Bay Beach. One of the favorite Maui Beaches for both residents and visitors. Perfect for kids and adults, snorkeling, swimming, or relaxing while watching the world-class windsurfers and kite surfers at Ho'okipa Beach. Our Hale Makai Home has 6 bedrooms and 4 1/2 full bathrooms. The theme throughout is an Island Motif with a Hawaiian Flair. Every room has its own ceiling fan and plenty of windows to open providing a natural air conditioning. There is parking for up to 4 cars on the property. A portion of the house can be reserved, or it can be rented out as a whole. Hale Makai is versatile in that one, to six bedrooms can be rented. Sections of Hale Makai can easily be locked off for smaller rental groups. By doing that, guests are not charged for all of the existing bedrooms. THIS ALLOWS FOR ONLY ONE RENTAL GROUP, STAYING AT THE HOME AT ANY ONE PERIOD OF TIME. Guests will have the ultimate private experience and, therefore, Hale Makai really does feel like your home away from home! The second story has a partial ocean view, gourmet kitchen , living and dining area , 2 bedrooms (1 King and 1 Queen) and 2 private bathrooms (Tub/Shower) and a lanai complete with outdoor chairs. The ground level has 4 bedrooms (2 Queen and 4 Twin), with 2 hall private bathrooms (Tub/Shower). Outdoors is a shared Tropical Yard, including a BBQ , Outdoor Hot and Cold Shower and Laundry Facilities. Children are welcome we provide a pack n play, high chair and some beach toys. Activities at your Doorstep: Mama's Beach, Ho'okipa Beach Park, Surfing, Windsurfing, Kiting, Paddleboarding, Hiking, Fishing and Ideal for Bike Riders. Privacy and a Tropical park like setting offers families and friends an ideal opportunity to enjoy themselves. Bring the entire Family ' Ohana ' and stay awhile, you can rent for months at a time. Read our Reviews as most guests do not want to leave . Come Visit Maui's North shore to Discover, Uncrowded Beaches, Beautiful Views, Balmy Tradewinds, and Spectacular Sunsets, comfortable and casual. Steps away a path to a sandy beach and swim in a natural salt water pool. Mama's Fish House Restaurant is just steps away to spoil yourself for one of the Best Island Meals. Paia Town is only minutes away and a very cool place to hang out ! Great Gallery's, Cafe's, Unique Shops. Restaurants for everyones palette. Pizza-Gelato-Ono Burgers-Ahi Buritos and so much more ! Come You are Welcome ! Our Guests Say it Best ! " We've stayed in the 2-bedroom and 3-bedroom on two different occasions with our two young children and the houses are perfect for our needs. We love the quiet, friendly neighbourhood with Coco the parrot making evening appearances. The short walk to the beach is perfect - we spent every evening watching our kids playing in the water and exploring the rocks. All the amenities at the cottage make beach living easy and family friendly - from outdoor showers and hoses, to boogie boards and sand toys for kids. We would definitely like to return! " Our Guests Say it Best ! "The 2 bedroom suite at Hale Makai was perfect for our family of 4. We enjoyed smoothies and coffee on the deck every morning. And we loved the great kitchen and bbq for some casual vacation cooking. The beach at Mama’s fish house, right across the street, was an ideal snorkeling spot for our 8 and 10 year old kids. Paia is a hopping town with some great lunch spots. We also managed to fit in some windsurfing at Kanaha Beach Park, literally 10 minutes drive from our Kuau place. " Casual and comfortable! We were sorry to leave and can’t wait to go back! Bathrooms are large with plenty of counter space, tub/shower. If your family or group is from 2-12 guests please inquire as we can open adjoining double locked doors to offer up to 6 bedrooms or as little as 1 Bedroom. The property was beautiful and the access to the sheltered beach was welcome. Our 5 and 8 year olds learned how to snorkel among the fish and sea turtles in a very protected environment. Paula, the manager, was very helpful and we loved the set up for a large family group. We cooked at home most of the time, but the restaurants we visited were fun and the food was wonderful: The Millhouse, Flatbread, Mama's Fish House, Charlie's, Fleetwoods upper bar at sunset. Driving to Haleakala at sunset was beautiful. Bike riding was available in town and several in our group enjoyed that. It was a little windy several days, but the temperature of the water was perfect. A fun little town was Wailuku. Whale watching, fishing, and snorkeling were all available at Boss Frogs in a town nearby. We had a very memorable time. We love Maui. The house has great potential . It’s size was great for our large group. It was not cleaned well for our visit. The floors not mopped in a long time . The dishwasher was broken and old we had to pick up the bottom tray and place it as it could not slide in. A few more bath towels would have helped . As expensive as this house was to rent it is not too much to expect these simple things . Next visit I will look elsewhere to rent. Aloha and Thank you for expressing your concerns with our Home. Upon arrival of your group of 12 we had some minor issues that you noticed and we addressed them quickly. The floors are concrete and we always mop between parties, however they are a porous material. Had you mentioned anything about them we would of had our cleaner come in and remop the home. On the dishwasher, it is functioning properly and we were never told that the rack was off track . That would of been fixed. On the towels we do leave enough out for everyone and with the washer/dryer on property most guests just wash them as needed. We also provide beach towels so you do not use the house towels. We were really surprised you were not happy as when we met you nothing was discussed or we would of made sure your vacation was fine. We do welcome your group back and hope that any future guests would always tell us if they have any issues as we would always correct them. Beautiful home and yard very close to beach - 1 minute walk. Home was very nice for our stay with extended family as there are plenty of opportunities to be together or have privacy. Stairs can be tricky with a young child. We loved the beach by mama's (right outside the home), very sheltered for young children, plenty of sea turtles and fish. Would recommend bringing a snorkel. We loved our stay and would highly recommend. Both Cliff and Paula were kind and easy to work with. Aloha Sara and Family, It was a pleasure having you and your extended family. The beach just steps away and the outdoor shower are loved by the little ones. We did notice you were a bit challenged with the stairs , as you had a baby ( older kids are fine) you would always need to pay attention or in the future let us know and we can rent a baby gate for you. We do look forward to your return. Rented the house for a Family Vacation of 7 Adults and 2 Children. Paula and house exceeded our expectations. The House is right next to Mama's Fish House and about 10 mins from Paia. 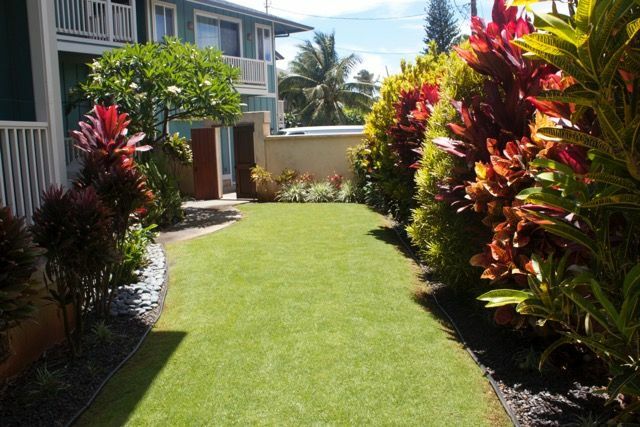 The house is perfect for a small group or a large group, location is perfect if your going to Lahaina or going to Hana! Will be Back! Aloha Ivan, Yes this is a great Family Beach house and we know your kids love walking to the beach just steps away and the outdoor shower is pretty awesome. We look forward to your return ! This was my forth trip to Maui, with the first three being in Kihei. Nice change, nice quite street with property on dead end of street at the end of the street. Small beach just steps away were we saw green sea turtles, natural break, keeps waves calm and great for young kids. Great little deli / store within a 5 min walk which has great coffee, sandwiches, beer, wine and more. We walked to Paia and local beaches and Mamas Fish House which was also nice. Paula and Cliff took good care of us. We loved having so much square footage and being seconds from a beach. This house was well stocked and had a partial view of the ocean so you could tell how big the waves are. Having a local store walkable for Popsicles and coffee was great! Now for the cons. The decorating was worse than my collage dorm. The beach at mama's fish house was not exactly the 'aquarium' we were sold, at least not for kids too young to snorkel. The local store was really expensive. We enjoyed our stay, but the traffic into Paia was annoying. Next time we will stay closer to Baby Beach at Baldwin beach by the golf course.